Snakes, lizards, iguanas, and similar animals are interesting creatures. 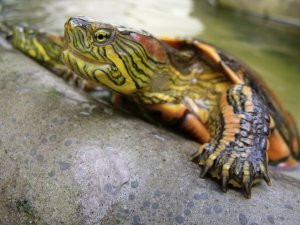 They require special care and can make great pets for someone who likes to handle reptiles. The tips in this section can help you understand how to take care of lizards. You'll find some information about the different types of lizards and snakes and what makes them great pets. The following articles are available for the 'Reptiles' topic. Click the article''s title (shown in bold) to see the associated article. When caring for a lizard, you must first choose a healthy one. You do not want to buy a lizard who is sick. There are many things to check to make sure your lizard is healthy. Then, creating the right environment for the lizard is very important. There are a couple things to check and regulate to make sure your lizard stays happy and healthy. What Type of Lizard Makes the Best Pet? A leopard gecko would make the best lizard pet. They are great pets for beginners, requiring very little attention and maintenance. These lizards are very quiet and easy to tame. What Type of Snake Makes the Best Pet? Corn snakes, ball pythons, and king snakes make great pets for new owners. If you are new to owning snakes, here is a little bit of information about each of these three different types of snakes.